In recent years, a portion of the eastern part of Boulder, near 30th Street and Pearl Parkway, has become a popular site for the city’s start-up companies. But with its large blocks and scarce roadway connections, this part of the city, historically an industrial zone, lacked the well-connected and pedestrian-friendly attributes that are more commonplace in other parts of the city. It’s a tall order to transform a car-dominated area into a place that is friendly to multiple modes of transit, but rethinking the pieces that make up “transportation infrastructure” to include trees may hold the key. To make the eastern area of the city more livable, walkable, and community-oriented, an ambitious redevelopment plan for this area, now known as Boulder Junction, was set forth that paired new multi-modal transportation infrastructure with innovative urban treatments (including urban forestry enhancements) to accompany the construction of a new high-density mixed-use development alongside Pearl Parkway, one of the major thoroughfares of the area. 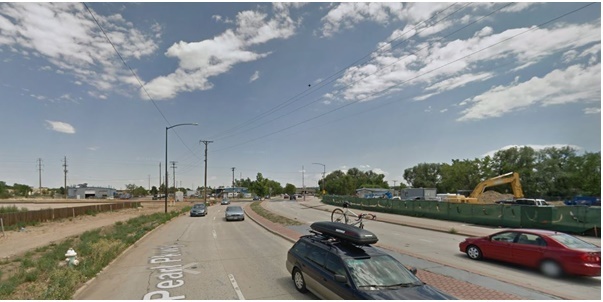 The Boulder Junction area east of 30th Street went through a land use area plan process, allowing for zoning changes to transform it into a transit-oriented development that would build density and mixed use while enhancing public spaces, walkability and access to alternative transportation. This project, designed by Tsiouvaras Simmons Holderness, involved construction of a new multiway boulevard on the south and north sides of Pearl Parkway between 30th Street and the adjacent railroad, and a new multi-use path along the north side of Pearl Parkway between the railroad and Foothills Parkway. A major goal was to transform the area from a causeway into a “place” that accommodates all modes of travel: pedestrian friendly, with slow speeds for cars and bikes that maximizes soft and permeable surfaces and planting areas in order to minimize heat island effects and mitigate storm water runoff. Because the city wanted the new high density residential units to have a ground floor presence, they needed to rethink the right-of-way and did so through synergistic design that recognized the role the street section and trees play in the infrastructure of place-making. Planning for a healthy tree canopy requires thoughtful consideration of the planting conditions that trees need to grow and reach maturity, and the most significant obstacle to reaching maturity that urban trees face is the scarce quantity of usable soil for root growth. Some data suggest that an urban tree with insufficient uncompacted soil volume has an estimated life span of 13 years, which means that it dies before it grows large enough to provide significant ecological and financial benefits to its community. Contrast this with an urban tree planted in sufficient soil volume, which has an estimated life span of 50+ years, and it becomes clear that providing trees with ample soil is a necessary condition for smart growth. 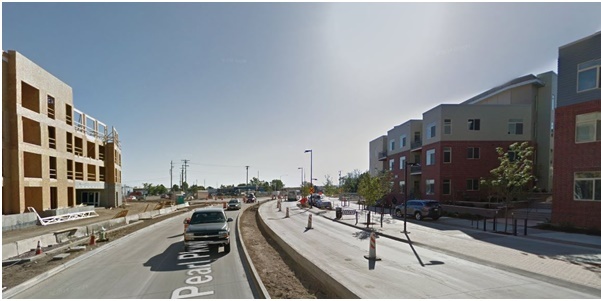 Installation, construction and planting of 20 trees on the south side of Pearl Parkway took place between June 2013 and April 2014. 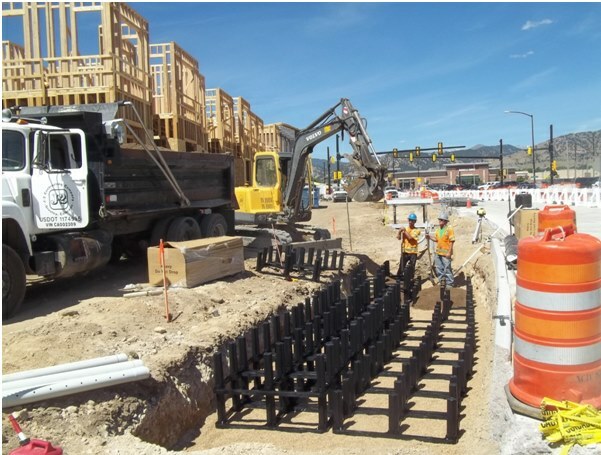 The planting of the 9 trees and installation of their support infrastructure on the south side of Pearl Parkway took place from December 2014 to March 2015. Each of the 29 new trees receives 460 cubic feet of soil (much more than the 32 cubic feet that comes from a standard 4’ by 4’ tree pit). 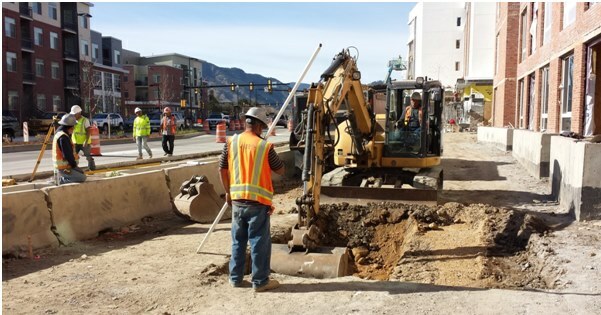 The tree-lined multi-way boulevard and multi-use path enhance access to the planned redevelopment projects currently on-going in the Boulder Junction area. 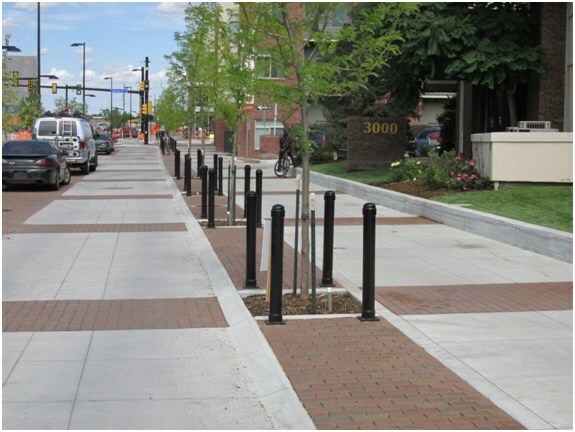 Through innovative and thoughtful planning, the trees have been given conditions that are as hospitable to their own growth as the new developments and transportation infrastructure improvements are to the growth of community in the new Boulder Junction. As the trees grow, so will their enhancement of the public space.